They say that “nostalgia is a thing of the past”, but for those of us that are getting older, the past is often where our best memories are from. The only trouble is, that as you get older, the memory fades and it is difficult to recall those magical moments, especially if it reflects names or dates. In compiling this book, many frustrating hours have been spent, firstly trying to engage the brain into ‘recall’ mode and then researching the internet for accurate information when all you have are just vague clues. There are probably some moments or encounters that have been totally forgotten but hopefully those that have been recalled will provide interesting reading along with a few anecdotes that will titillate and amuse. Well, the last thing I want to do is to be blasé and just compile a list of well-known celebrities and personalities and name occurrences that anyone could pick up from the media. On the other hand, I have met or had personal dealings with all of the people named in this book. Occasionally it has just been a shake of the hand but in most instances the meeting has been in more depth, quite often with a poignant story to accompany the occasion and it is these in particular that I hope you will find most amusing and informative. But, how did this all start? To put things into perspective, it is relevant to give you a little biological background and relate things in somewhat of a chronological order as, in the main, it has been my career that provided the settings or occasions for most of these meetings. I guess you could say that I was destined to have some connection with show business as my father was a professional pianist both before and after the second world war and went on to become a senior musical director for the Stoll Moss Empire Theatre Group, reputedly the largest owner of theatres the length and breadth of Great Britain. Then (and perhaps unfortunately) my mother put her foot down and demanded that, as a responsible married man and father, he should settle down and get a ‘proper’ job and so, he became a conductor of a different kind – on the buses in Wolverhampton. I say “unfortunately” because I later found out that he was very frustrated at not being able to use his musical talents to better advantage. We never even had a piano in the house – not until he died some 30 or more years later. But I remember from the age of about five, we regularly visited my grandmother’s house on a Saturday or Sunday afternoon and after exchanging pleasantries, my father soon made his way into the front parlour and played for hours on her slightly out of tune upright. I was fascinated every time he sat down to play and took every opportunity to sit on the piano stool to bash those keys myself. And although, regrettably I never learned to play myself I am sure his playing and odd tales, long since forgotten, about his time of touring the theatres, must have sparked an interest in everything theatrical, which stays with me to this day. However, I was never to become a musician or have any professional role in show business – I always wanted to become a journalist and it was this that led me to meeting my first couple of ‘celebrities’. Although at that time, neither of them had a celebrity status. 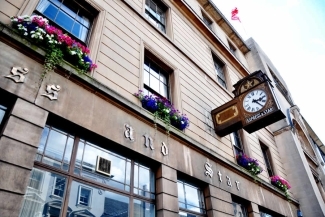 As a 13 year old, I managed to get a part-time Saturday job as a ‘copy-boy’ in the newsroom of the local evening paper, The Wolverhampton Express and Star. My job was to collect the ‘copy’ from the typists who were getting stories relayed by telephone from reporters at football matches and other sporting events, and rush them through to the sub-editors to prepare the story for publishing. This firmly established my interest in journalism and I soon spent every school holiday shadowing reporters out gathering their stories or doing odd jobs (and minor reporting) around the paper. Two of these reporters were later to become household names. The first was Women’s Page editor and later Sports Editor, Rachael Heyhoe-Flint, who ‘mothered’ me through the early stages of my writing career. 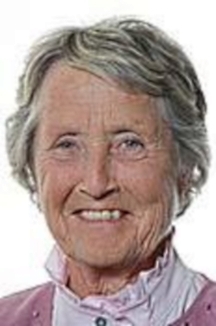 Now Baroness Rachael Heyhoe-Flint is best known as England women’s cricket captain who was undefeated in her 11-year reign, making a record 51 appearances for her country and with 179 runs for England v Australia at The Oval in 1976 still holds the record for an English cricket player in test matches in England. She also became TV’s first woman sports presenter/reporter with ITV’s World of Sport. and is currently Deputy Lieutenant of the West Midlands, a member of the board of Wolverhampton Wanderers football club, a board member of the MCC and a life peer in the House of Lords. Little did I know who I was working alongside in those early years! Another good friend and later my boss, was Michael Barratt. Michael was a political reporter, court reporter, sub-editor and later editor of the Wolverhampton Chronicle. He regularly took me along to the courts to sit in the Press Box and often helped me to report cases – eventually leaving me to my own devices whilst he was off having a coffee or whisky elsewhere, and then collecting the story from me and submitting it as his own! 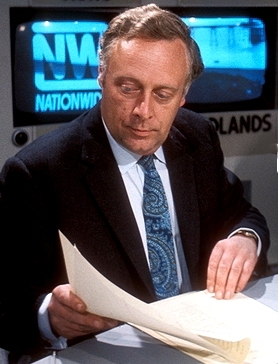 Michael was obviously good at his job though as he later joined the BBC as a reporter on their current affairs programme Panorama and then became a household name as the Nationwide presenter from 1969 to 1977. And for anyone who enjoys gardening, you may remember him as chairman of BBC Radio 4’s Gardeners Questiontime, a post he held for over 6 years. He also appeared as himself in both films and television, including the film The Magic Christian and The Goodies. In 1972 he was elected Rector of the Uni versity of Aberdeen and now runs a highly successful business and communications company in London. In later years I met up with Michael again when he opened a news agency and PR company in Leicester and I was asked to join the agency team as the main reporter for two illustrious magazines. 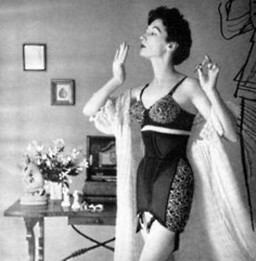 I then spent just over 12 months working for “Knitwear and Stockings” and “Corsetry and Underwear”. So if there’s anything you need to know about women’s underwear, then I’m your man!! Look out for the next part of my story – “The Rock and Roll Years” coming very soon. 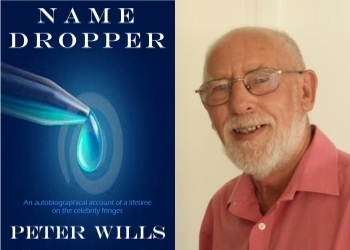 This entry was posted in Peter Wills and tagged #Namedroppers, BBC Panorama, Journalist, Michael Barratt, Nationwide, Peter Wills, Rachael Heyhoe-Flint, Wolverhampton Express and Star, Women's Cricket. Bookmark the permalink.